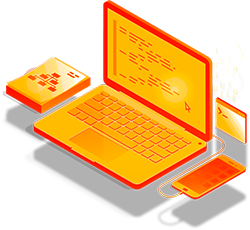 The Amplify Framework provides a set of libraries and UI components and a command line interface to build mobile backends and integrate with your iOS, Android, Web, and React Native apps. The Amplify CLI allows you to configure all the services needed to power your backend through a simple command line interface. The Amplify library makes it easy to integrate your code with your backend using declarative interfaces and simple UI components. Choose your cloud services and easily connect them to your app with just a few lines of code. Effortlessly create and maintain sophisticated serverless backends for your apps. Accelerate app development by leveraging our beautiful out-of-the box UI components. Drop-in analytics to track user sessions, custom user attributes, and in-app metrics. A simple and secure solution for making HTTP requests using REST and GraphQL, with support for real-time data. Authentication APIs with pre-built UI components for your app. A simple mechanism for managing user content in public, protected or private storage. Create conversational bots powered by deep learning technologies. Connect your app to message-oriented middleware on the cloud. 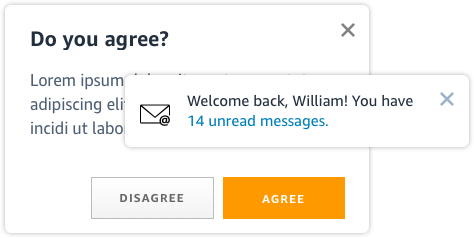 Push notifications with campaign analytics and targeting. Work with augmented reality (AR) and virtual reality (VR) content within your applications. A utility class to work with PWA and Service Worker APIs. Create sophisticated serverless backends fast. The CLI includes support for authentication, analytics, functions, REST/GraphQL APIs, and more. The toolchain uses AWS CloudFormation and enables you to add, modify, and share configurations. Distribute content to end users with low latency and high data transfer speeds via a secure, durable, and scalable object storage infrastructure. You can perform local testing of AWS Lambda functions, connect them to your APIs, and deploy everything in one command. Define your API using the GraphQL Schema Definition Language (SDL). The toolchain will expand and transform a full CloudFormation template that implements your data model. 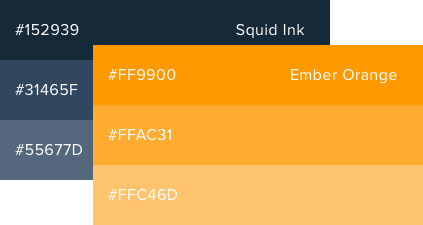 UI Color for AWS Amplify are derived from a primary and secondary color palette. Most primary actions are wrapped in orange. 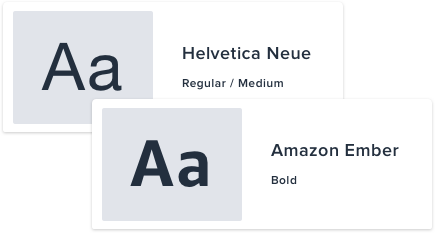 AWS Amplify components primarily deploy the Amazon Ember typeface with some support from standard Helvetica Neue. A comprehensive set of components to facilitate the most common user authentication scenarios including two-factor authentication. A step by step tutorial on how to use Amplify to connect an iOS app to a servereless back-end. Learn how to easily build secure, cloud-connected data-driven mobile apps using AWS Amplify, GraphQL, and mobile-optimized AWS services. This walkthrough is part 1 of a two-part series on how to build an AWS cloud-enabled Android mobile app with the AWS Amplify toolchain.